Summer is my favorite time of year to travel as the options are almost endless. 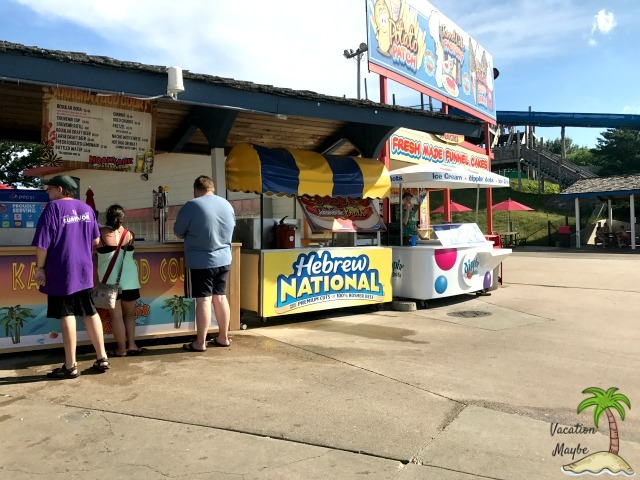 We especially love the Wisconsin Dells area and were lucky to have a hosted visit to review Noah’s Ark Waterpark recently. This is well-known as America’s Largest Waterpark and is tons of fun for the entire family. We are so excited to share our trip with you, and also offer a nice discount on your tickets! We had a great time on our recent visit and knew you would love learning more about the park as well as why you should visit. Before I begin, let me give you a few basic tips and of course the great discount offer! Noah’s Ark Waterpark is a 70-acre waterpark in Wisconsin Dells, Wisconsin. They offer everything from, kiddie pools to thrill seeker rides. They also pride themselves on being one of the best things to do with kids in Wisconsin Dells. It is a large enough park that you will want to spend all day there with the family. Perhaps even longer! Check out our tips on how to plan! What to Pack: If this is your first trip to a water park or you’re a pro, a reminder of what to pack can be helpful. 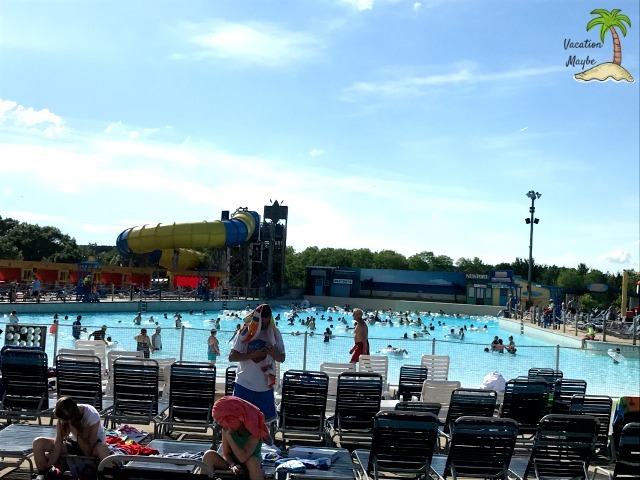 Check out this post on what to pack and good tips for a successful trip to the waterpark! Parking: There are both general parking areas as well as priority parking areas. Their cost is $15/$18 respectively, but rates are subject to change. Have cash on hand for parking. Tickets: You can purchase tickets at the park or via their website. Prices vary depending on age/height/promotional availability. There are also discounts available for groups of 15 or more people attending at once. You can check out group discounts online or over the phone at 1-800-222-6624. 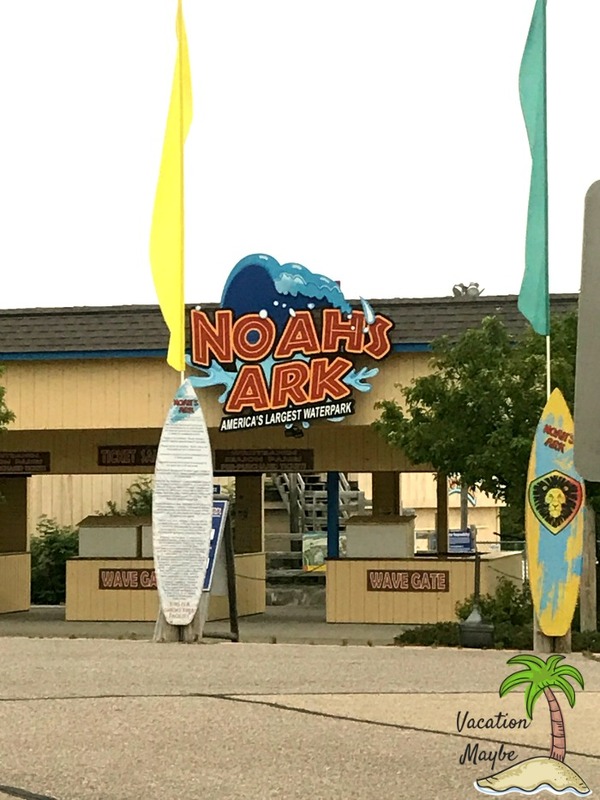 Since we enjoyed our time at Noah’s Ark Waterpark so much, we knew you would too! 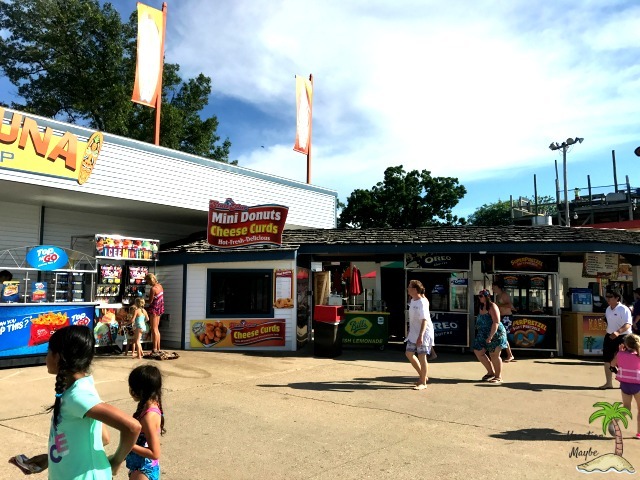 These reasons are our top picks for why you should head out to this fun location in Wisconsin Dells, Wisconsin with your family this summer! There are so many rides to choose from. They have everything from rides to satisfy the thrill seekers and those who prefer the calmer side of things. I loved the fact that our children could enjoy so much without fear of safety. It also kept the kid’s areas for just the younger kids while older teens or adults can do the more exciting rides and thrills. There are 2 wave pools to chose from. The Big Kahuna and The Wave. If your child is smaller than 48 inches, they must wear a life jacket to be allowed in and accompanied by an adult. Both pools feature a zero-depth entry making it great for the whole family. There is a total of 4 kiddie pools throughout the park. Each one offers different things to keep the kids entertained. They all have a zero-depth entry and chairs close by as well. Although, it is encouraged for you to join your child in the pools. You will find them located near Paradise Lagoon, Slide Winders, The Wave, and The Big Kahuna. These areas are pretty spread out throughout the park so you can be near your older kids who are enjoying other rides will still keeping the little ones in sight and safe. Don’t miss the lockers for your belongings! First of all, I love that there are sets of lockers located all over the park. It makes it super easy to create a “home base”. This means no one is stuck lugging all the “stuff” through the park. It also helps so that no one has to stay back from the rides to watch everyone’s items. The locker sizes that are offered are small, large and jumbo. The measurements for each size can be found on the Noah’s Ark website. Each has a different fee. Once you pay the fee you are able to go in and out of the locker as needed. 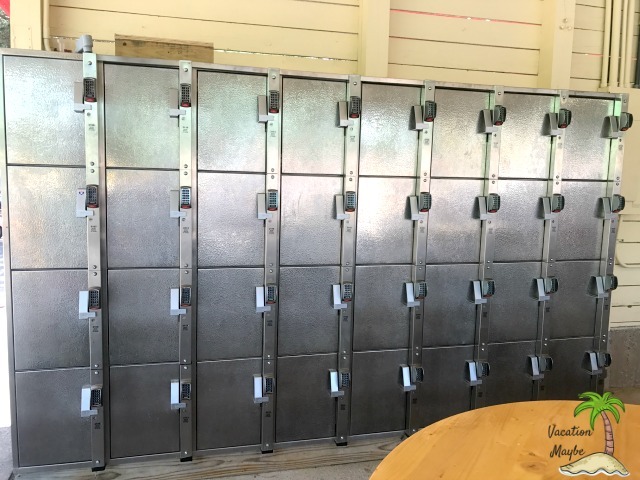 When you go to the kiosk to get your locker you choose a pin and that gets you in and out as many times as needed or wanted during your time at the park. So, it is one flat fee for the entire day instead of having to keep reloading quarters in every time you open it. Something new that is being offered from the last time I visited Noah’s Ark Waterpark is photography. Noah’s Ark has hired college students or young adults to walk through the park and ask individuals if they would like their pictures taken. Once the picture(s) are taken they will give you a wristband with a number on it. Be sure not to lose this wristband as it coordinates with your picture number. Later, you can stop by the desk in the gift shop by the Big Kahuna Wave Pool and check them out. If you chose to purchase them, they will print them right there on site. This, along with just having some fun in the water and sun will create memories your children will look back upon. They don’t notice the bathing suit you wear or how good you can swim. Your children look for the smiles, laughter, and fun times you have together. Noah’s Ark Waterpark is sure to keep your entire family happy. Bonus Tip: Don’t forget to check out the Cabanas area for your family to make their home base for the day. They are located in three different areas of the park. You will find sets of cabanas near The Big Kahuna Wave Pool, Paradise Lagoon, and the Endless River. Most of these hold between 6 to 8 people. Noah’s Ark Waterpark suggests that you rent these prior to your visit just to be sure there is one available for you the day of your visit. If when you arrive, you decide that you would like to rent a cabana for the day that is an option as well as long as there are some available. Cabana’s are reserved on a first come first serve basis so, if you chose to wait until you arrive there may not be one available for you in your preferred area, or one available at all. Slide Winders: We were not able to find this one on the website but, saw it on the park map when we got there. This is a set of 5 water slides, two of which were closed at the time of our visit, that our 2-year-old was able to go down on our laps and absolutely loved! Our 7-year-old was able to do them by herself and she loved them too. Dark Voyager: When looking on the website this ride isn’t mentioned either. This ride fits in the “thrillers” category. This is a group ride, where multiple people sit in a large tube and go through a completely black slide. Flying Gecko: Although mentioned on the website, we were not able to find this ride on the park map or, when we were walking through the park. You can check out other facts and tips here. After searching their website I was so excited that there were so many rides that our 2 year old could enjoy with everyone else. However, after going through the park, I was sad to realize otherwise. Bahama Falls is one of those where the description on the website put this under the “family rides” category where many people could ride together. However, once we got there the rules stated that we were to use individual tubes and no one was allowed on our laps. Meaning that, in order to ride this ride the kids need to be able to support themselves in the tube. There were a few other rides that we thought (after reading descriptions online,) he could ride but, the rules that are posted by them stated otherwise. Be sure to read the rules near every ride closely for this reason. Also, know that your ride options for a toddler to go along with you may be more limited. Bring your own: Guests are not allowed to carry coolers or drinks in. (Some exceptions are made for infants or dietary restrictions. Call ahead for more information). However, you are allowed to leave them in the car and eat in the parking lot. This is what we did. Just be sure to get your stamp on the way out so you can get back in when you are done. If you do this, I recommend bringing camping chairs to make things more comfortable. Enjoy in park foods: If you prefer, inside the park you will find a number of places to eat. You can find meals and snacks throughout the park. We took a break and grabbed some ice cream. The prices were pretty typical for this type of place, nothing outrageous like some other parks I have been to. 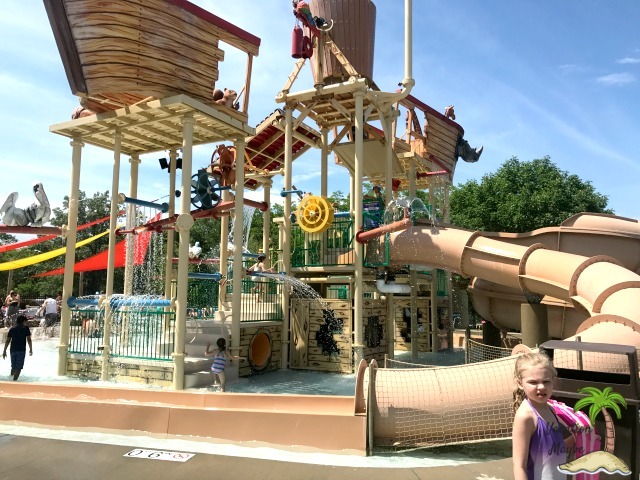 Noah’s Ark Waterpark is a great place to visit with the entire family. 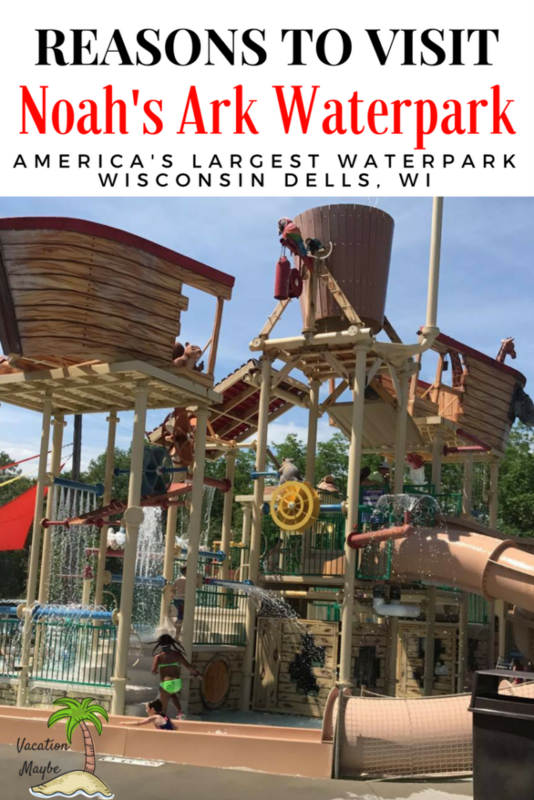 Don’t forget to use the coupon code listed above to save money on your upcoming visit to America’s Largest Waterpark in Wisconsin Dells, Wisconsin! Love that idea for a waterpark and it’s so nice to feel you have somewhere both fun and safe to take your children! Hello, great post. I really liked your post. I am a massive fan of fishing. It is super awesome. Thanks my friend. This looks like so much fun. My boys would love this. What a great family vacation! I love the idea of renting a cabana and making a day of it. It would be so nice to reserve it ahead of time and get a good spot. I’m going to look into taking a trip here soon! There are so many great aspects of going to this water park.. The pictures are just beautiful… Now we just have to save the money to get there…. I’ve never heard of this waterpark before, but it looks fun. My kids would love to go to this waterpark on a vacation. They love being in the water. Wow this looks like a dream come true! How awesome!